Therefore, real estate agents must be on their game when it comes to listings. While a poor one can make potential buyers scarce, a good one, on the other hand, can drum up interest and get a home off the market quickly. So, all professionals should make sure their listings are top quality and in line with current market trends. One popular listing strategy that has taken hold in the housing market has been the "coming soon" listing, or a preview of the house before it is actually ready for sale. Teresa Boardman, a Minnesota-based real estate broker, wrote in an article for Inman News that this method has its pros and cons, and as the market shifts it becomes less of an ideal way to get a home sold. This is the case because the "coming soon" listing now feels a bit like a too-strong sales pitch, Boardman explained. A few years back, they sounded alright as inventory was low and each new listing was a sign of relief in the neighborhood. Now, as more houses are hitting the market regularly, this method isn't as effective. In fact, it can backfire in some cases. A more universal strategy to selling homes is to focus on the locals, according to Boardman. While trends in the industry come and go, learning about neighborhoods and people will always be relevant. This way, agents can best serve their clients no matter the current conditions. Furthermore, professionals must have access to a wide range of high-quality information. Once, agents had to spend a lot of time at the local courthouse. Now, with CRS Data, mortgage records, warranty deeds and much more are available online. Walkthrough our CRS Data Real Estate Suite to learn more. While the style of listing can change depending on the times, the content should roughly stay the same. 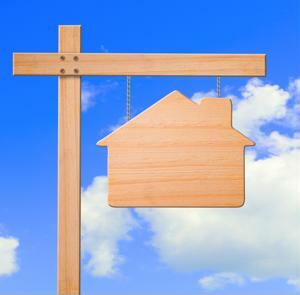 And, there are certain elements that must be included in order for a home to sell fast. According to MSN Real Estate, one of the most important factors to put in a new listing is the hidden gems of the house. For example, the property may have a larger garage than normal or a fantastic view. Agents should use the description to cover things that aren't common. This will provide potential buyers a more in-depth picture of the house before they stop by to visit. In addition, the listing should never be short on details. While concision can be helpful in some cases, most buyers want to know as much as possible about a home. So, agents should spend a few sentences on each feature, going into immense detail. "I try to hit [buyers'] hot buttons," Julie Johnson, of Texas-based BHG David Winans & Associates, told MSN Real Estate. "I give as many details or facts about a property as I can." Above all else, agents must provide a listing that captures the key qualities of the home. While it can be tough to sum that up in a description, it is crucial to bringing in more people to look at the property and eventually make an offer.